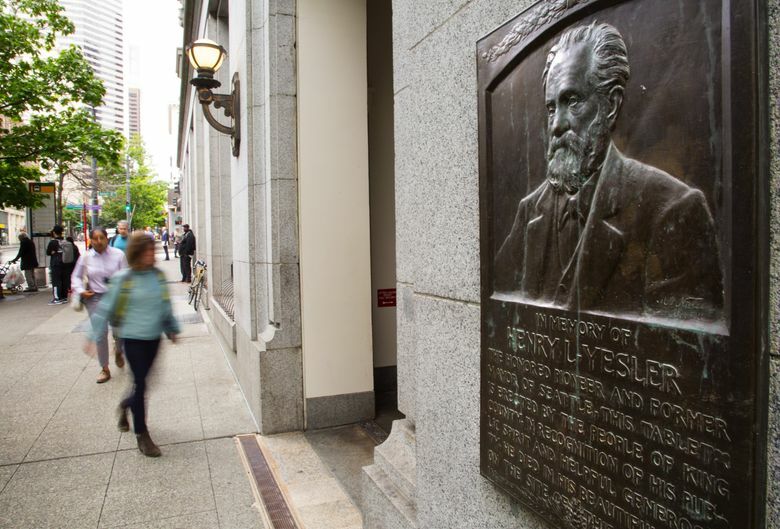 Two judges said assaults on jurors and courthouse employees, combined with conditions, including the stench of excrement and urine, are creating a frightening atmosphere around the courthouse at Third and James in Seattle. Two King County Superior Court judges are asking for help cleaning up the courthouse at Third Avenue and James Street after they say two jurors and half a dozen employees have been assaulted. 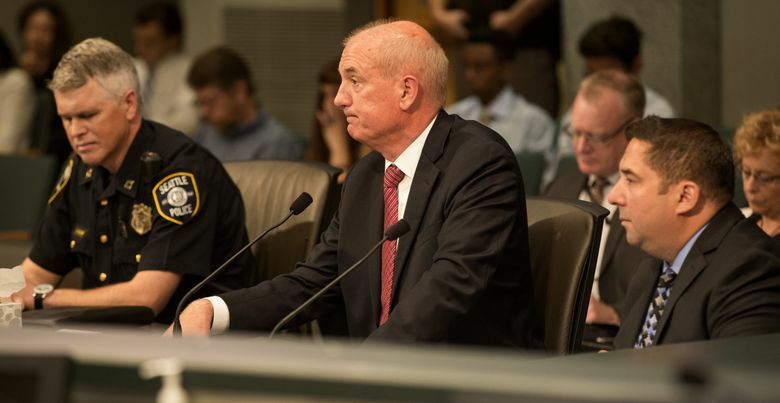 The judges, Laura Inveen and Jim Rogers, acknowledged Tuesday that there are difficult underlying circumstances contributing to the unsanitary and potentially frightening atmosphere around the courthouse. They — along with King County Sheriff John Urquhart — also recognized that there are two elements at play: crime and the fear of crime, with the latter being just as likely to keep people away as the former. The nearby blocks host most of the city’s homeless-shelter beds and many of its social-service outlets, which draw those who need help and the people who prey on them. That’s nothing new, Rogers said. But, for whatever reasons, things have gotten worse over the past few years and jurors and potential jurors report being afraid to go to the courthouse, the judges said. 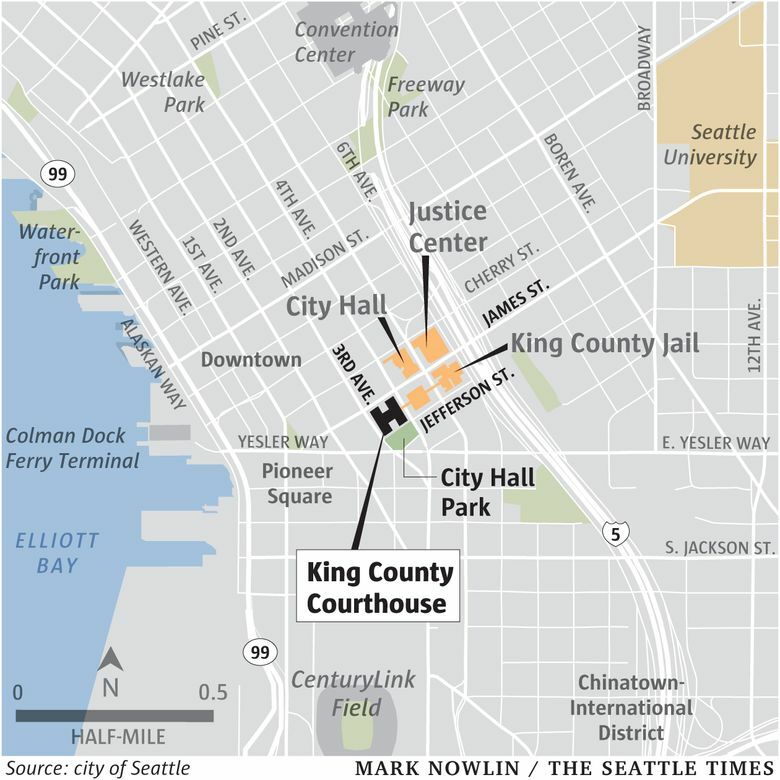 The judges said they have started hearing from jurors who want to do their civic jury duty at the county’s superior courthouse in Kent because they don’t want to come to the downtown courthouse. “I’ve never seen it this bad,” Rogers said in a Tuesday morning presentation to the Metropolitan King County Council’s committee on government accountability and oversight. Inveen told the committee about two incidents, one in late May and one in June, in which jurors were attacked in separate incidents outside the courthouse’s Third Avenue entrance. On other occasions, Inveen said, employees have been spat upon, slammed against a wall or punched. Although cleaning and patrolling the area immediately surrounding the courthouse would not address some of the deep-seated issues faced by denizens of the space, it would send a signal that somebody was paying attention, she said. She and Rogers asked the county to take immediate steps to clean up the courthouse with a daily power-wash of the surrounding sidewalks, which reek of urine and excrement. They also asked that the county empty trash cans more frequently, remove bus-stop benches, remove tents from the adjoining park and increase the presence of law enforcement — not just to arrest people but to deter crime. Another suggestion was closing the Third Avenue entrance and reopening the one on Fourth. Seattle Police Capt. Mike Teeter, commander of the West Precinct, said that police patrol the area heavily and that while there are certainly people in crisis, or need, who behave in ways that may make others “uncomfortable,” there is often no criminal activity involved. Statistically, Teeter said, a person is actually slightly less likely to be assaulted near the courthouse than in some other areas of the city. He also said that police are not able to address some of the things that may be intimidating to occasional visitors, such as seeing someone standing on the street corner and yelling. Though it makes people “uncomfortable,” he said, it’s not a crime. Brian Wetzel, a Port Orchard resident who was passing through the neighborhood on his way to the airport, understood the concerns. But Renee Winget, a “permanent resident” of the park, scoffed later Tuesday at the idea that the patch of land near the courthouse was any worse than anywhere else. 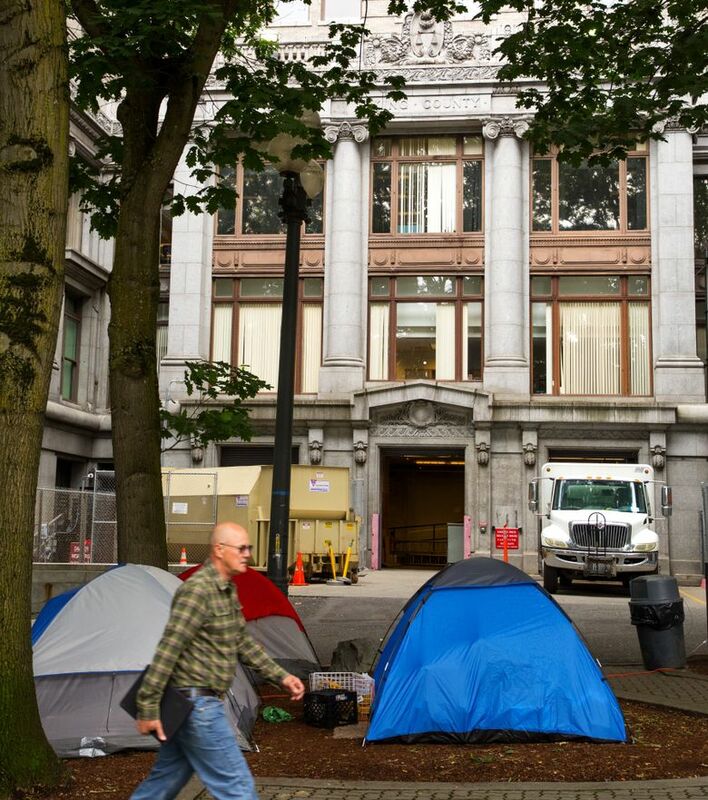 Seattle resident Mary Hendrickson said she’d been homeless for a time and had no fear of the people who hang out near the courthouse. Compared to other gatherings, the folks at Muscatel Meadows — as the park is sometimes called — are actually a “pretty docile group,” Hendrickson said. Some committee members expressed concern about addressing the symptoms of the area’s problems without getting to the cause. Councilmember Larry Gossett said he didn’t like the idea of power-washing the sidewalks because it brought back images of the use of hoses against civil-rights activists. Another council member, Claudia Balducci, suggested that the county consider using social-service employees in partnership with police. Urquhart said he has a front-row seat to the activities on Third from his office. And he agreed with the judges that it’s gotten worse in recent years. He told the committee he could put two deputies outside the courthouse for four to five hours several days a week for about $8,000 a month and he cited an old saying. “When you’re up to your keister in alligators, it’s not the time to drain the swamp,” he said, urging the committee to respond immediately. While no official action was taken, the county’s administrative officer, Caroline Whalen, and the facilities manager assured committee members that a stepped-up schedule of power washing and garbage cleanup would begin immediately. 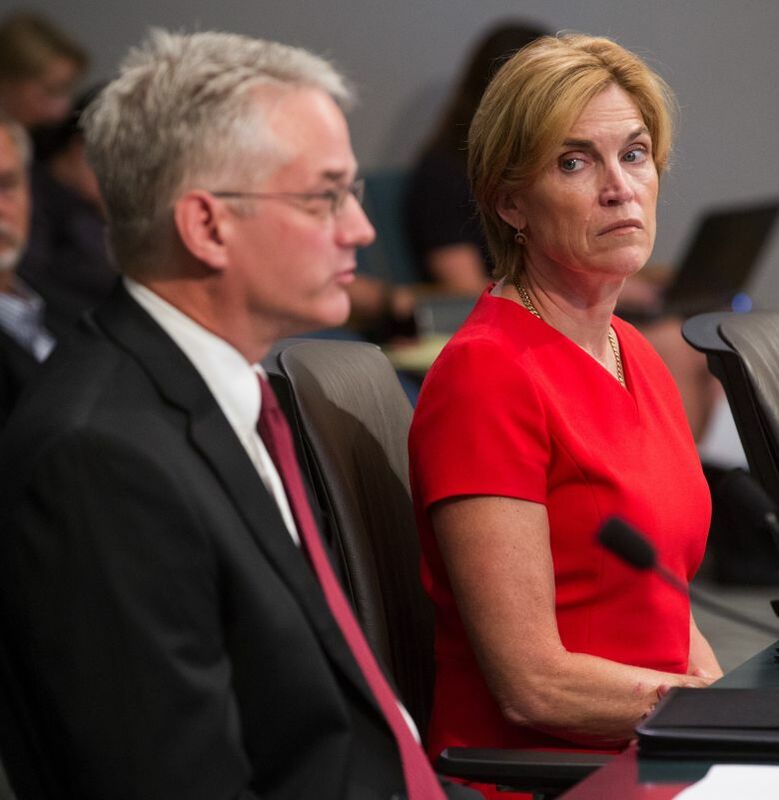 Though Inveen said she was not confident the issue would remain at the top of the county’s priorities, she said she was pleased with the outcome for now. “We need to do everything we can to make this courthouse welcoming to all,” she said. Christine Clarridge: cclarridge@seattletimes.com or 206-464-8983.